https://www.golfdiscount.com/titleist-vokey-sm7-slate-blue-wedge?___store=default 155080 Titleist Vokey SM7 Slate Blue Wedge https://media.golfdiscount.com/catalog/product/t/i/titleist-vokey-sm7-slate-blue-wedge_01.jpg 189.9900 199.9900 USD InStock /Golf Clubs /Golf Clubs/Wedges /Golf Clubs/Wedges/Men's /Golf Clubs/Wedges/Sand Wedges /Golf Clubs/Wedges/Lob Wedges /Brands/Titleist /Golf Clubs/Wedges/Gap Wedges /Brands/Titleist/Wedges /Brands/Titleist/Spin Milled Wedges Get more confidence and lower scores with the new Vokey SM7 Wedges. Improving in all three areas of wedge performance, SM7 models provide increased shot versatility with expanded fitting options, improved distance and trajectory control, and more spin through precisely tuned CG locations and tighter Spin Milled grooves. 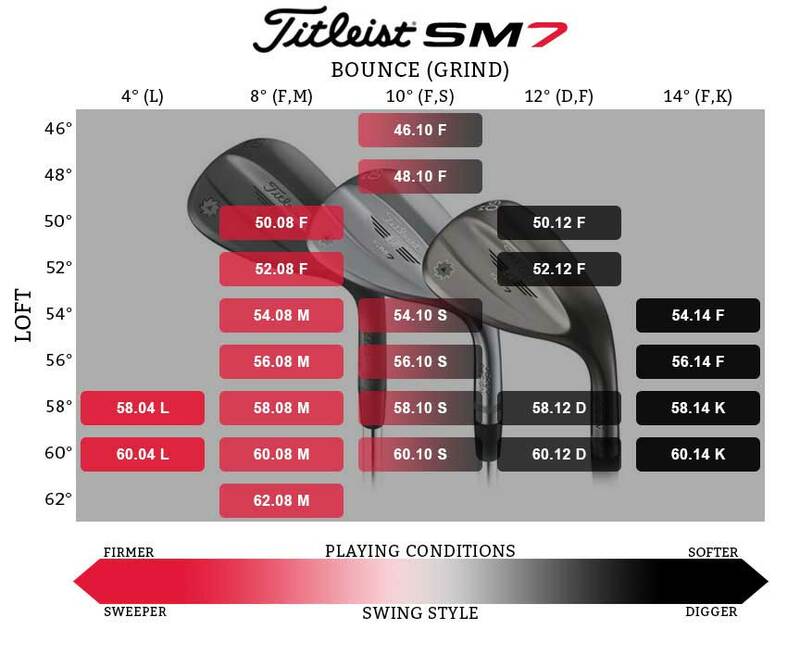 SM7 features a progressive center of gravity optimized for each loft, bounce, and grind for improved distance control, tighter shot dispersion, and exceptional feel throughout the wedge set. 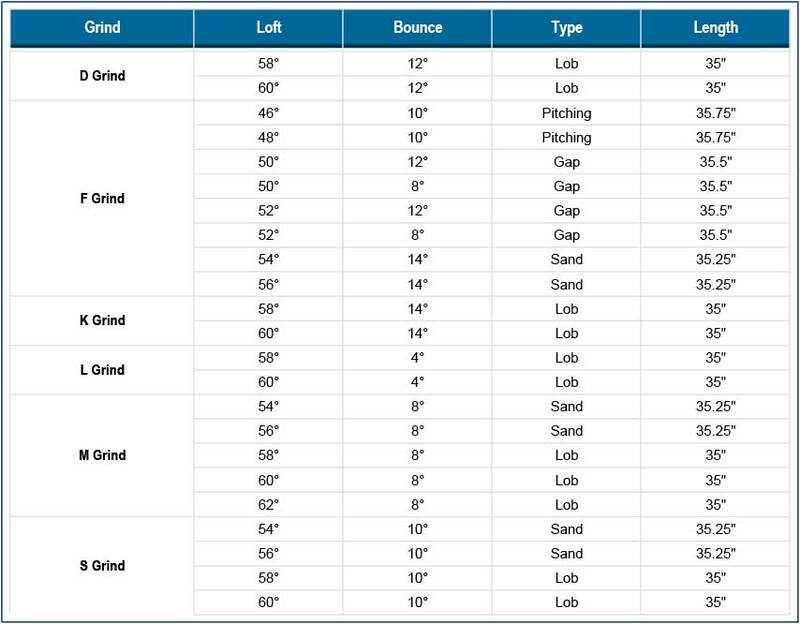 CG gets lower in the low lofts and higher in the high lofts to produce consistent ball flight and trajectory control. Spin Milled technology provides players with maximum spin, control, and consistency. SM7 wedges feature a Parallel Face Texture for tighter quality tolerances and maximum spin. SM7 also features a distinct groove design between lofts: low lofts (46-54) are designed with narrower, deeper grooves, while higher lofts (56-62) have wider, shallower grooves. The result is superior spin and control on all wedge shots. Additionally, a proprietary heat treatment process produces best-in-class groove durability for longer lasting spin. Played, proven, and perfected on Tour, Vokey wedge grinds are the game’s benchmark in creating shot versatility for any level of player in any type of condition. F, S, M, K, L and the new D grind – allow golfers of all skill levels to be precisely fit for their swing type, shot making style and course conditions. Unsure which wedges are best for you? Titleist has developed an exceptional tool that walks you through your game and playing conditions to determine the best lofts, grinds and bounces. F Grind: Full sole designed primarily for full swings and square face shots. For that reason, F is the only grind available in the 46°-52° models. The 54°/56° F Grind is the most played sand wedge on the PGA Tour. M Grind: Vokey’s favorite, the M grind is designed for players that like to rotate the club face open and shut to manufacture shots around the green.